Disney’s Original live action animated film, Pete’s Dragon, was released November 3, 1977. Did you know Disney and Google built an Augmented Reality game for Pete’s Dragon? 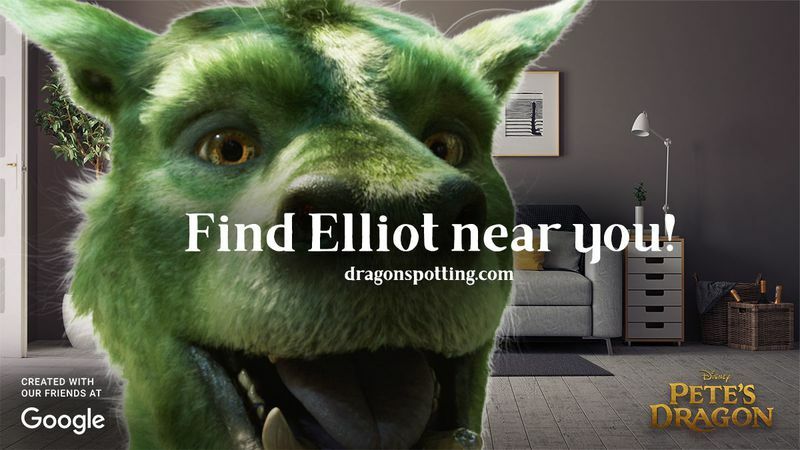 It’s called “Dragon Spotting”, dragonspotting.com, the game runs on an iOS or Android smartphone and mimicks Pokémon Go. You must find Elliot throughout various places in their homes or neighborhoods. But if you want to have some real fun, CaribbeanDays can bring you to Disney and you can see where Elliot is hiding there!